If you’re planning on restyling your kitchen, you’re likely to want to know what the kitchen trends are right now. Kitchen design is our biggest passion and we’re regularly keeping up with the latest kitchen trends so you don’t have to. Here are a few design considerations for you when you’re creating your new kitchen, to help you create the living space of your dreams. You’re also welcome to visit our kitchen showroom in Berkshire, where we can give you loads of ideas and inspiration. Plus come and see the kitchens and materials in real-life, rather than just choosing from brochures or on screen images. 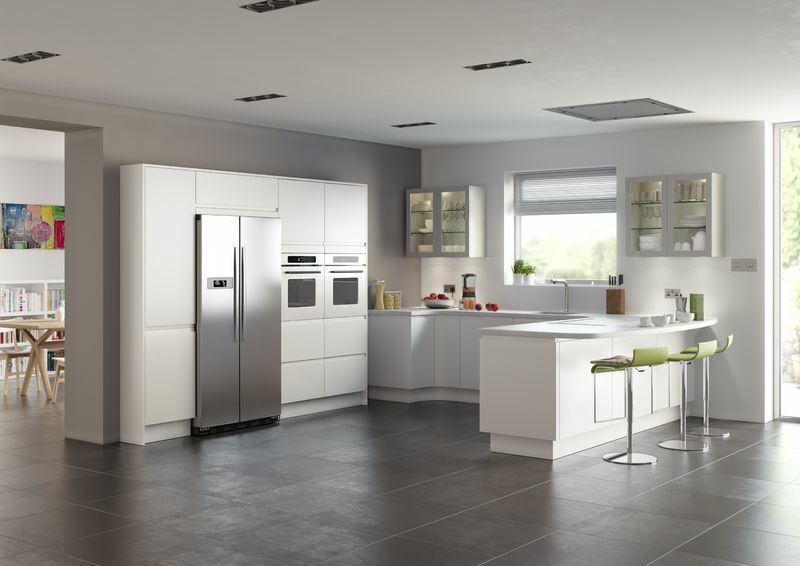 Check our some of the trends below when you visit our kitchen showroom in Thatcham near Newbury. Greige is everywhere, even though some people don’t know its name. As you’d imagine, it’s a stylish hue of grey and beige. You only need to search #greige to find hundreds of examples of this wonderful colour for the home. 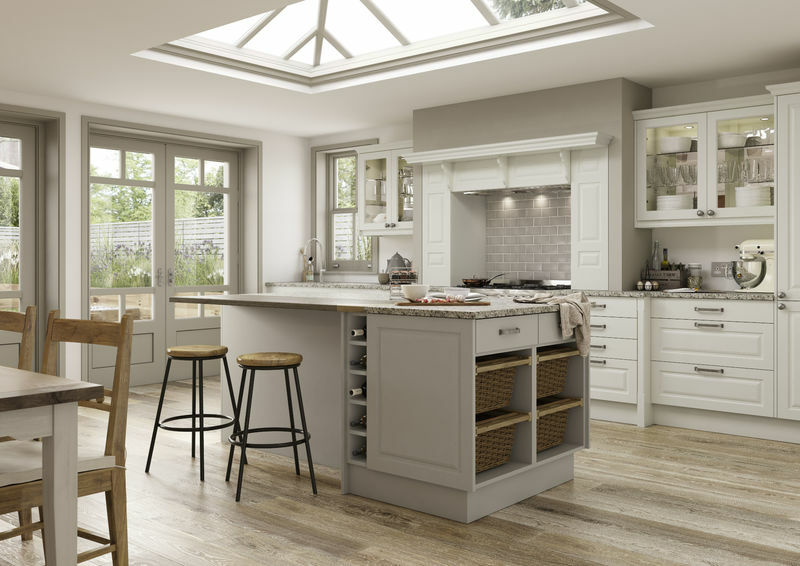 Use greige on hand painted cabinets or on worktops to complete your sophisticated kitchen look. Come and see greige examples at our showroom. Create a cosy feel with the latest kitchen trend of dark flooring. Not only is it practical, showing less marks and stains, but it also creates a warmth to your kitchen to make it the cosiest place for entertaining. Contrast it with light cabinets and furniture or match it with darker colours. Islands not only look good but they hugely improve a chef’s cooking experience. Giving you more space than a work top and the freedom to prepare food from any angle, the frustrations of food prep can be no-more. They can be the wow-factor of a kitchen and create a feeling of a bigger space. Choose from many different colours, styles and materials for your worktop to create the best kitchen look. And islands aren’t just for prepping food, they make a lovely space for breakfast. 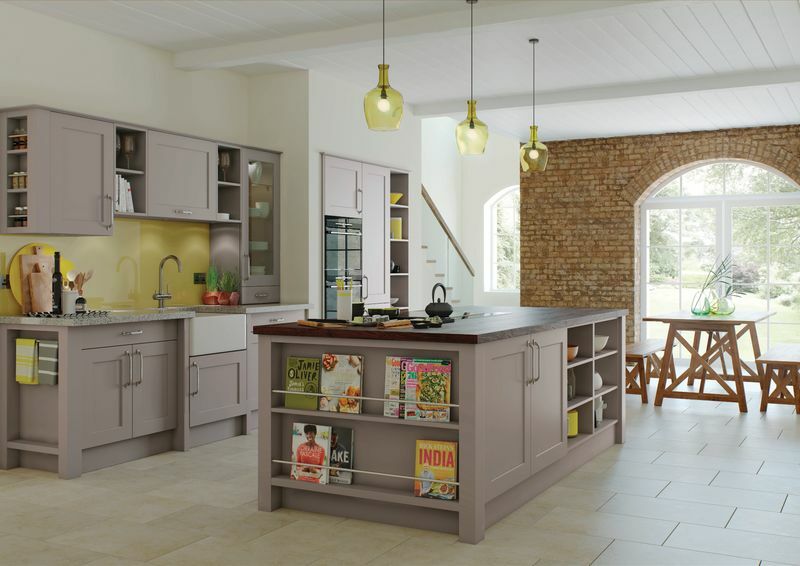 Breakfast islands are near the top of the list when it comes to kitchen design trends right now, so they’re worth considering when visualising your new kitchen design. 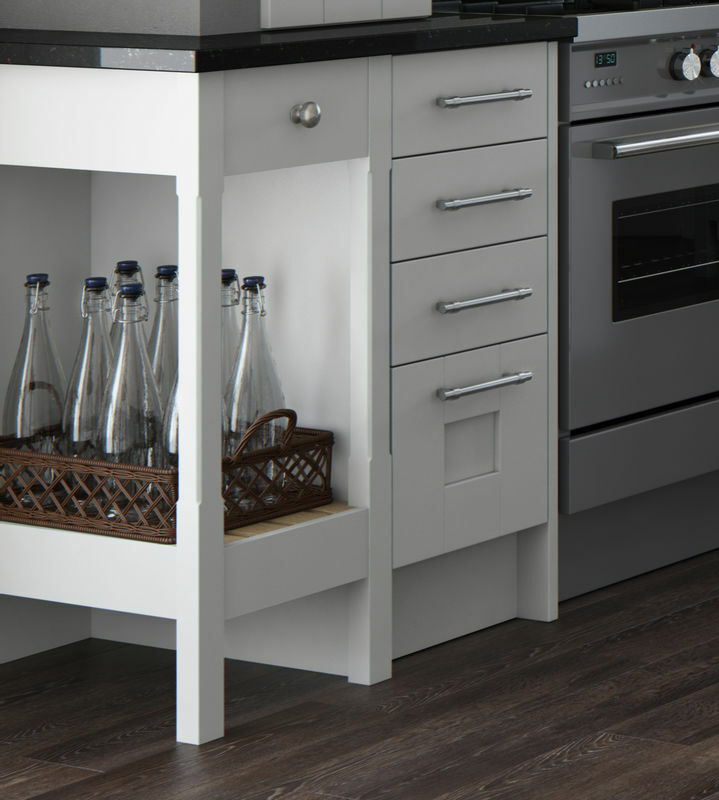 You can check out a range of beautiful kitchen islands at our showroom. From cooker hoods and fridges to sinks and appliances, metal in kitchens is definitely right on trend at the moment. Copper, gold and chrome can all create a superior kitchen style, and set your kitchen apart from any other. Come and talk to us about how to make metal look good in your new kitchen. Give your kitchen a Mediterranean or ethnic feel by adding some wonderful floor tiles. You might wish to start your design from the floor up, blending in cabinets and appliances with your chosen floor tiles. Show your personality or create a faraway villa feel with a large range of exquisitely designed floor tiles. Keep it chic and sleek with black appliances in your kitchen. 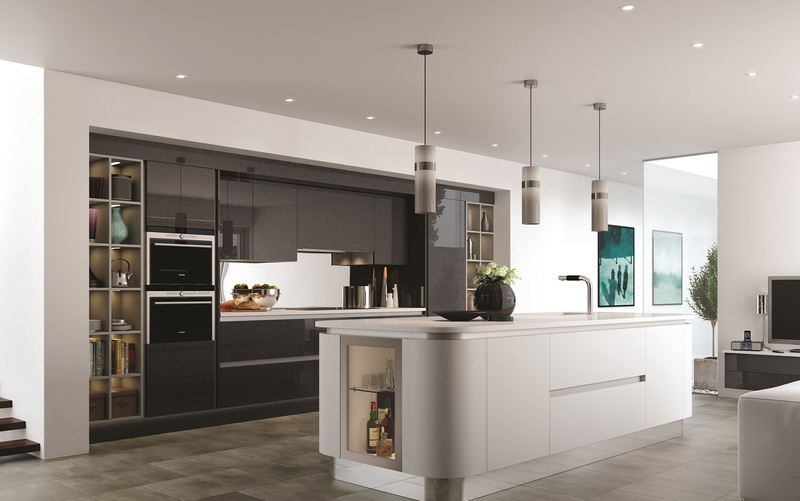 Blending with almost any colour and style you choose for your kitchen, black appliances are an easy choice. Choose your smart kitchen appliances to simplify your cooking experience, with Wi-Fi ovens and voice recognition coffee machines. At Thatcham Kitchens we are Bosch 5* appliance experts, so you we can tell you anything and everything about the amazing kitchen appliances of today. You can even try them our for yourself in our showroom – prepare to be impressed! Whatever kitchen trend you’re interested in, we can help guide you along your kitchen design journey. Just pop in and see us at The Broadway, Thatcham, near Newbury, Berkshire.